First off, I hope you all had a lovely Christmas and new year. But, you may be wondering, where the heck have I been? Well, let’s say second year of university hit me like a train. Things seemed to be going okay in September and October. I was going through life thinking okay second year isn’t as bad as everyone says, I’ll be okay, let’s do this. Well… you know what’s coming next – that train hit me. GREAT. Blogging, even though I love it so much, is my hobby. My uni work is a priority and I want to do my very best in my degree, so blogging does take a bit of a back seat. It always seems to happen when I’m super motivated and totally in love with my blog! But hey ho, that’s uni for you and it’s what I signed up for. 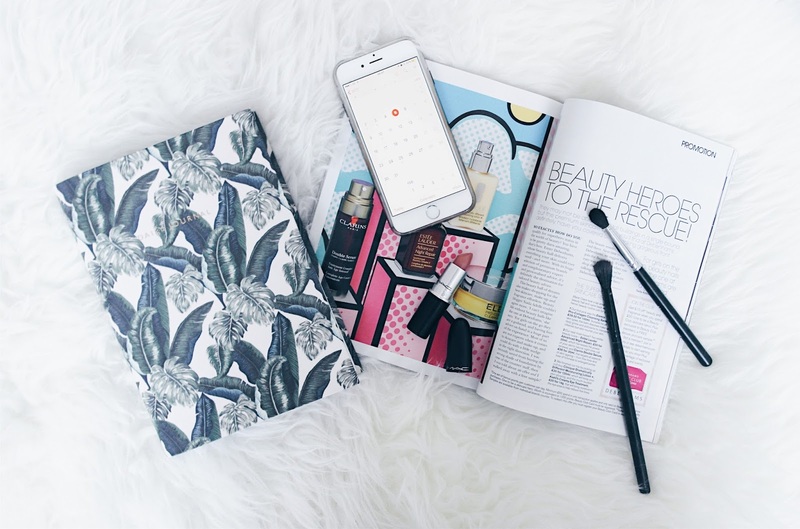 It inspires me to see bloggers who can find the time to post on the regular whilst studying for their degree. But for me personally, I feel that the quality of my uni work would slip if I tried to blog as much as I wanted to. 1) Stay motivated with my gym routine. Back in December, I hit a point where I felt like I was putting on weight without even realising it. So, I started personal training, and I’m absolutely loving it. My trainer is so motivating, friendly and supportive. She works me hard and I feel amazing for it. She even wrote me an amazing nutrition plan to follow along side my workouts. I want 2017 to be the year I see changes in my body, and I feel like if I carry on with my routine I started late last year, I will (hopefully) achieve that. 2) Do the best I can in my second year of uni and secure a work placement. Pretty self explanatory really; I just want to do my best. I put a lot of time into my uni work so I just hope that I get the results that I want. I also have to carry out a work placement for my degree, so one of my ultimate goals is to secure one that I will really love. 3) Keep a diary. I kept a diary when I was really young, but I just wish I was as committed to keeping one now as I was back then! I find the thought of looking back and reading what you did on a certain day, even if it’s only a sentence or two, so fun. I have a diary I can write in, so I think it’s about time I start using it! 4) Try to master winged eyeliner. This goal is a little fun, but I seriously can’t do winged eyeliner. Whenever I try and attempt it I just ruin my entire makeup look and end up having to do my whole face again. I need to invest in a good eyeliner pen so I can try and master the cat eye that everyone else seems to be able to do but me. Who knows, maybe by the end of 2017 my eyeliner will be on fleeeeek?! 5) Take care of my skin and maybe change up my hair. Okay, so it’s kind of two goals in one, but they both relate to my body. My skincare routine is pretty basic and I want to change that. I don’t moisturise my body enough; I feel so ashamed sometimes when I look down and see my pale dry legs. Mmm, beaut. I also kinda fancied getting some subtle blonde balayage in my hair at the end of 2016, but I had to put my money towards Christmas instead, so it just never happened. I’m still keen to do this as I think it looks so good on other people, and I’ve never dyed my hair, so maybe I’ll give it a shot. What do you think? So, there are a few things that I want to achieve in 2017. Fingers crossed! What are your goals for 2017?